Aspen High School senior Gaia Murphy sets a pass during Thursday's volleyball match against Roaring Fork inside the AHS gymnasium. 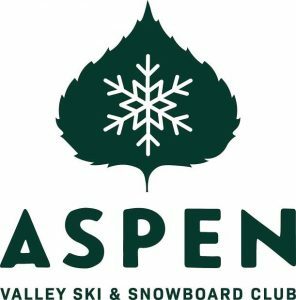 Aspen won, 3-0. (Photo by Austin Colbert/The Aspen Times). In a rare home game Thursday, the Aspen High School volleyball team swept through Roaring Fork inside the AHS gymnasium. Set scores were 25-15, 25-11 and 25-16. It was only the fourth home match of the season for the Skiers, now 16-6 overall. 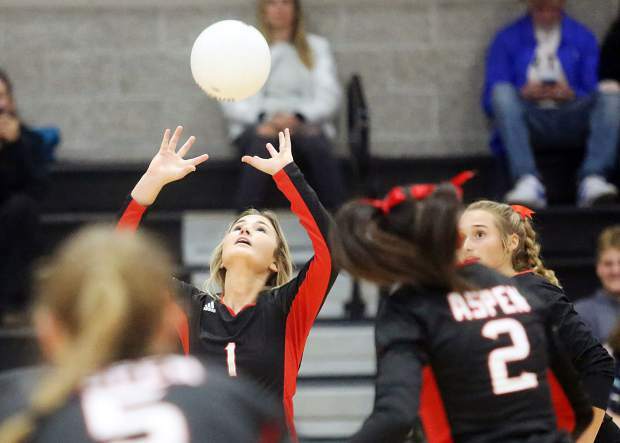 “We had a few changes this week and a lot of talk about positive attitude and playing together and they took that to heart and it showed on the court,” Aspen coach Bailey Holmes said. It was a non-league game for both teams. The Rams fell to 10-9 overall and remained at 3-6 in WSL play. 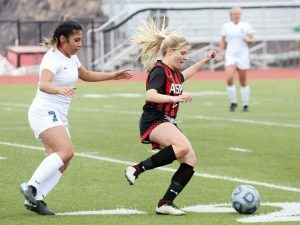 Aspen also beat Roaring Fork 3-0 on Sept. 6 in the season opener in what was a league game. 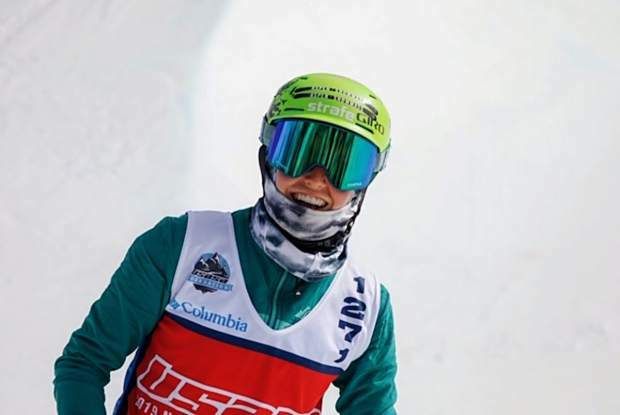 The Skiers are 6-2 in WSL competition with one game remaining. They are set to host Moffat County on Saturday afternoon to close out the regular season. 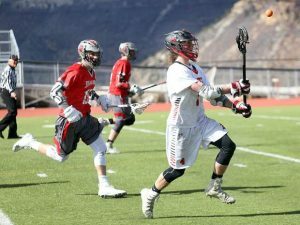 Regardless of the outcome Saturday, AHS will finish third in the 3A Western Slope League behind champion Coal Ridge and runner-up Cedaredge. The regional brackets come out Monday. Aspen had an RPI of 17 prior to Thursday’s game. The top 12 seeds get to host. 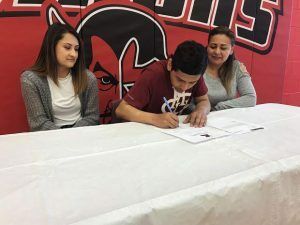 “Overall, this season has had its highs and lows, but every opportunity, every loss is an opportunity for learning, and that’s what this whole thing is about,” Holmes said.